Designed by a Swiss-French architect, Chandigarh is a well-planned city and is the capital of the two states, Punjab and Haryana. It is also a union territory with 114 sq. km of area. Some of the places to see in Chandigarh are Rock garden, Rose garden, Sukhna Lake and the Leisure Valley. The city has one of the highest per capita income in the country. In 2010, it was reported to be the cleanest city in India by national government study. The scenario of personal loan in Chandigarh is rapidly changing. People prefer to take an instant personal loan online. There are many loan apps present in the market where one can take a personal loan with minimal documentation. You can take a loan for any personal reasons for example: to pay traveling or home repair expenses, to buy any large asset, festival shopping, balance transfer and so on. • You can download the cash loan app and start the application process. • Fill in your personal details like name, number, address, and bank details. • Add the loan amount and thoroughly check the interest rate and fees charged by the lenders. Also, add the duration of the loan. • To take a personal loan in Chandigarh you have to submit your identity proof, address proof and income proof documents for the verification process. • Link your bank account to your profile. • These apps usually take some time to review your loan request and approve or disapprove your loan. • Once your personal loan is approved the cash is transferred to your savings account within 24 hours. Applying for a personal loan in Chandigarh can be very convenient. You do not have to leave your house or visit any bank or branch. You can apply for your loan from anywhere as long as you have a working internet connection. You can apply for the loan 24/7 since the process is entirely online. The loan can be applied without involving anybody as it is a very private process. And it takes hardly 15-20 mins to do so. You can always compare the loan prices and interest rates from different apps online. Loan terms and features vary from app to app, you can prefer the one which suits your need. Applying for a personal loan in Chandigarh is completely secure, as you can search the apps online and read the reviews from reliable users. Thus, your data is secured too. These apps will not recollect the money if your bank account doesn’t have sufficient funds, the lenders will be provided with read-only access to your bank statements. You don’t have to showcase any asset ownership as these are unsecured loans. Since now you have read the basic things and still wondering how to apply for a personal loan in Chandigarh? 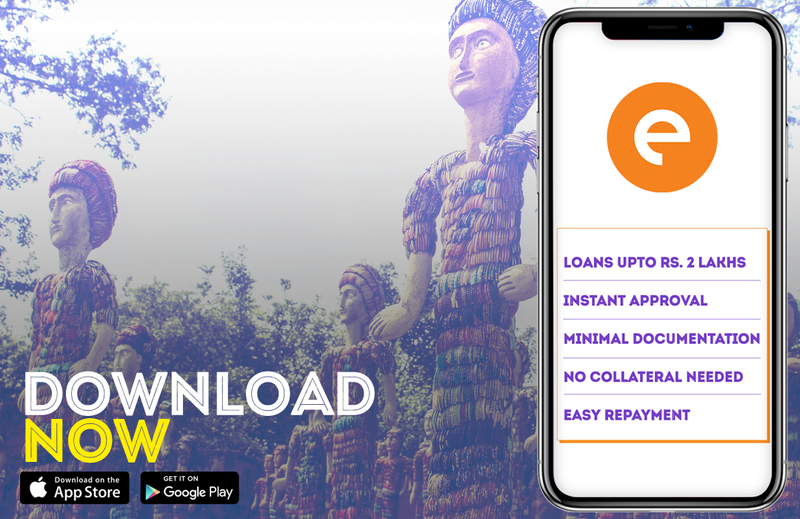 Check out one of the leading Loan App in India – CASHe that offers quick loans at hassle-free process. Read here to know more about how to apply for a personal loan.